According to a news report from the Mainichi Daily News, Japan will be transferring Korean royal archives to South Korea within the next few days. 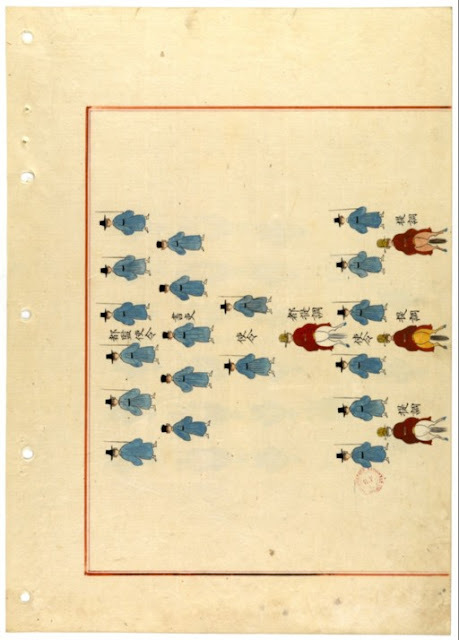 The royal archives which are known as "Uigwe" date to the Korean Joseon Dynasty (1392-1910) and were seized by Japan during its colonial rule of Korea from 1910-1945. The Uigwe are royal archives that documented royal events and ceremonies. They were inscribed in UNESCO's Memory of the World project in 2007. The nomination form noted that the Uigwe in Japan were taken from the Odaesan archive in 1922. The Uigwe from Japan will now join nearly 300 other Uigwe transferred earlier this year from the Bibliotheque nationale de France to South Korea. The Uigwe in France were seized in military operations in Korea in 1866.